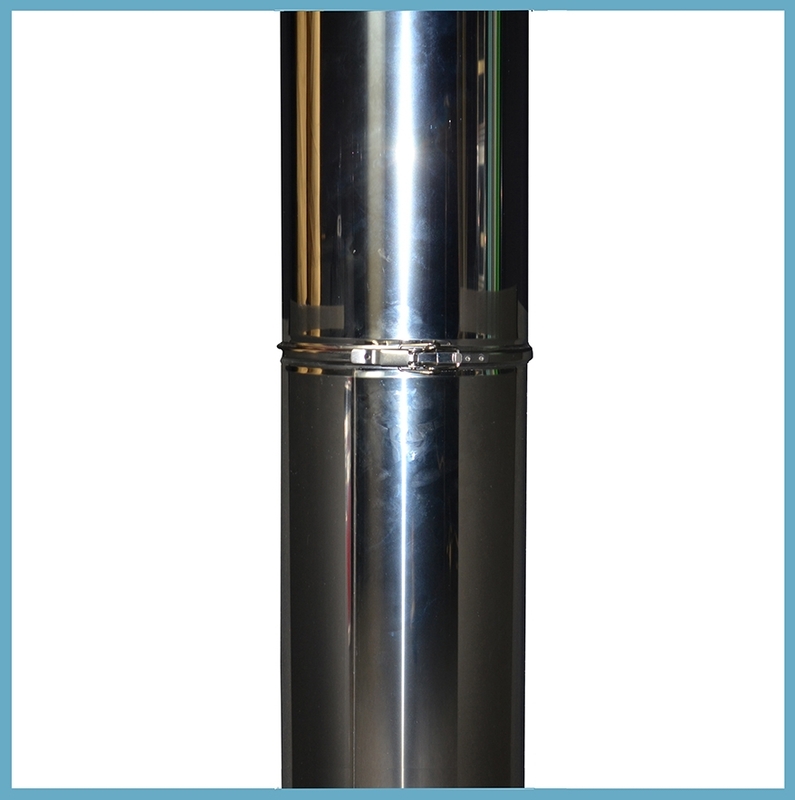 The Twist-Lock system is designed to provide stainless steel chimneys additional stability. 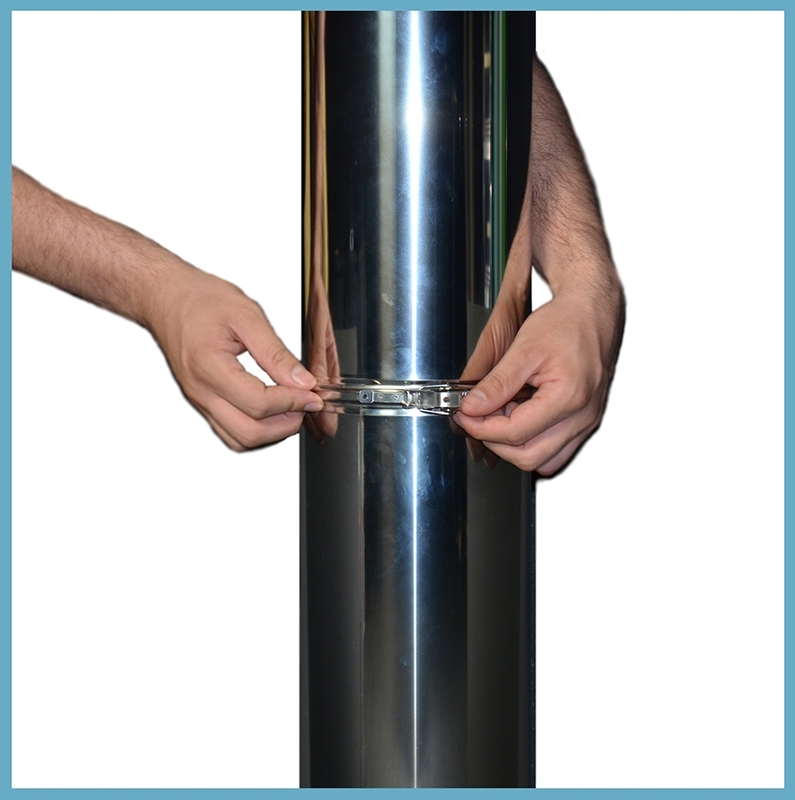 The “Jam Jar Lock” allows for easy installation with simple twist together components, resulting in a rigid and secure chimney. Even the most novice of DIYers. 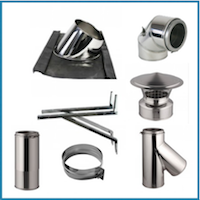 The Twist-Lock system is an integrated part of each chimney section, made of high-quality stainless steel with rounded edges to minimize the risk of injury. Start with positioning the fireplace according to the manufacturer's instructions. 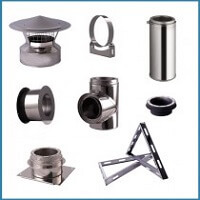 Place the flue outlet collar between the rafters or joists. Suspend a plumb bob from the ceiling and center it over the fireplace's flue outlet. Mark the center point on the ceiling. Mark appropriate cutting lines around the center point and cut a square hole for the Support Box. The next step depends on the pitch of your roof. For installation into a cathedral ceilings, you will need to use the Square Ceiling Support Box and the two-piece Trim. The bottom of the square portion of the Support Box must be a minimum 2 inches lower than the lowest side of the opening. Secure the Support Box to the framing using at least three 8-penny nails per side or a minimum of three 1-1/2" wood screws. Adjust the Trim pieces so they cover the Support Box, and secure them using provided hardware. 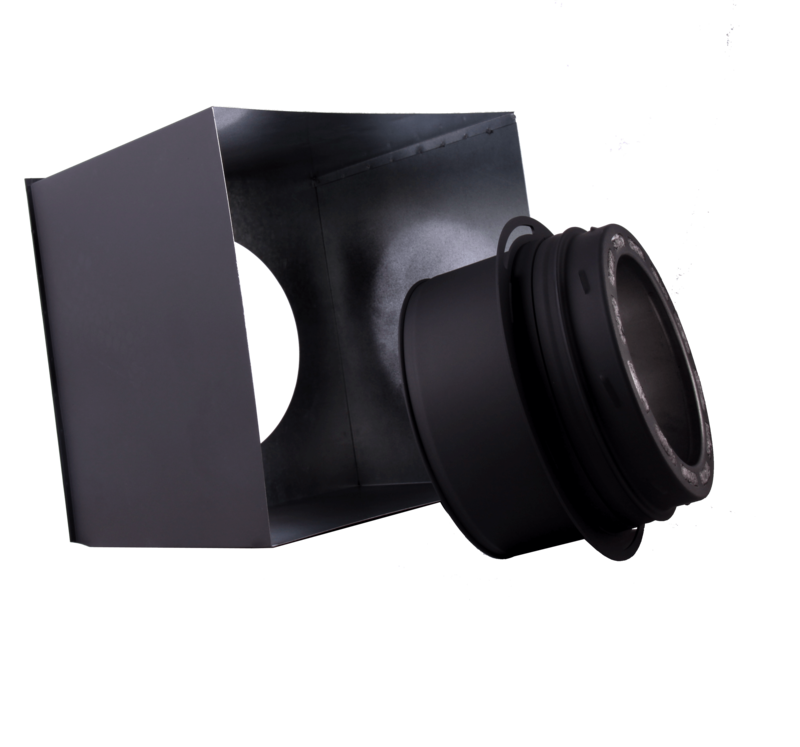 For installation into a flat ceiling, you can use the Square Ceiling Support Box (see instruction above) or the Round Ceiling Support Box. The bottom of the Support Box must be a minimum 3 inches lower than the finished ceiling at the lowest side of the penetration. To secure the Box to the framing, use at least three 8-penny nails per side or 1-1/2" wood screws. 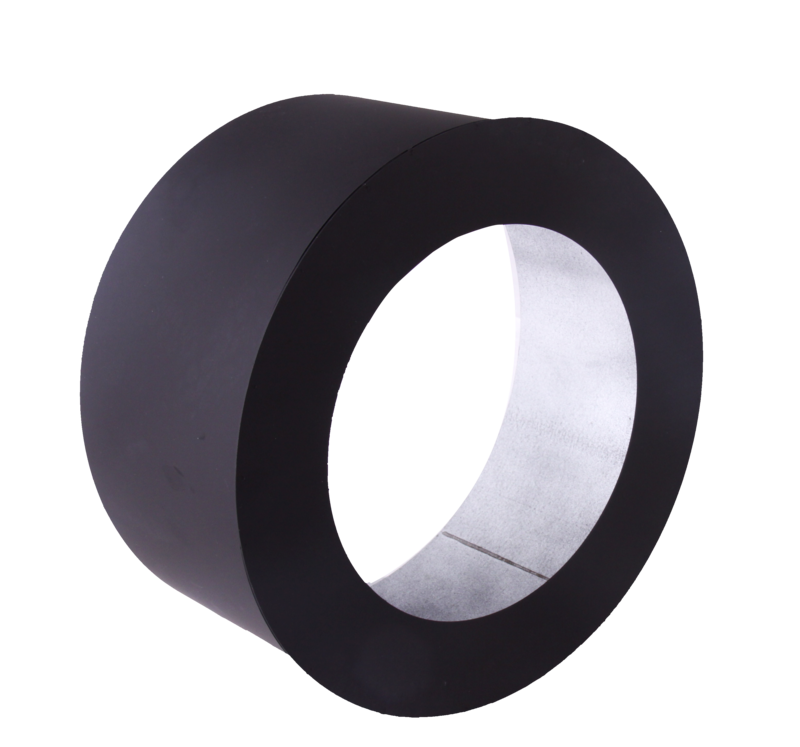 Secure the Trim Collar to the framing with provided hardware. Frame openings are used to hold the Radiation Shield and Attic Shield. Place frame opening in each ceiling or floor above the Support Box. 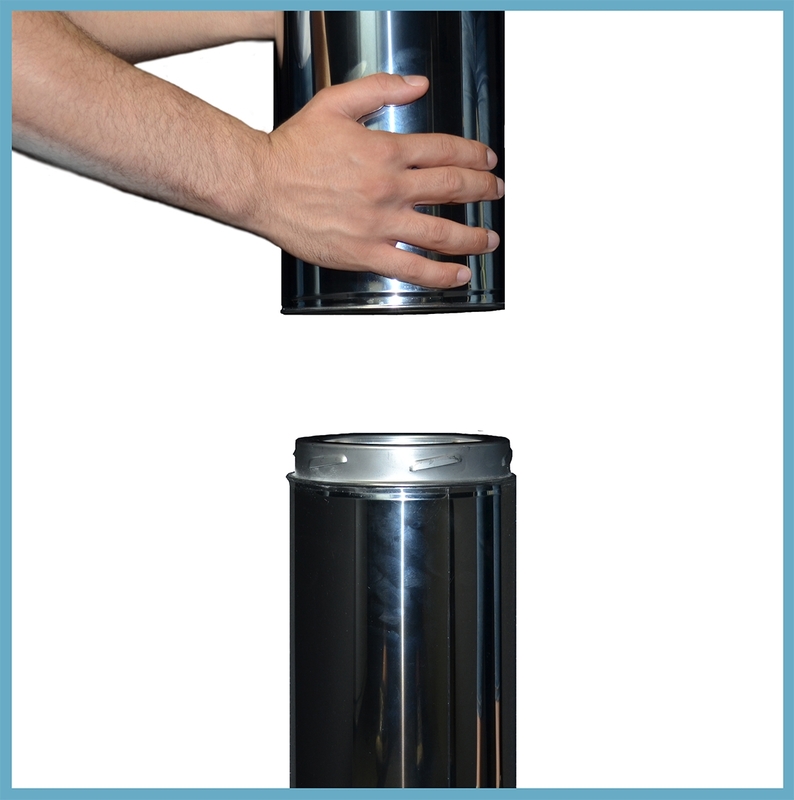 Additionally, cut an opening at least 4 inches larger than the chimney’s outside diameter to provide at least a 2 inches clearance all around the chimney. Keep 2 inches clearance to combustible materials. 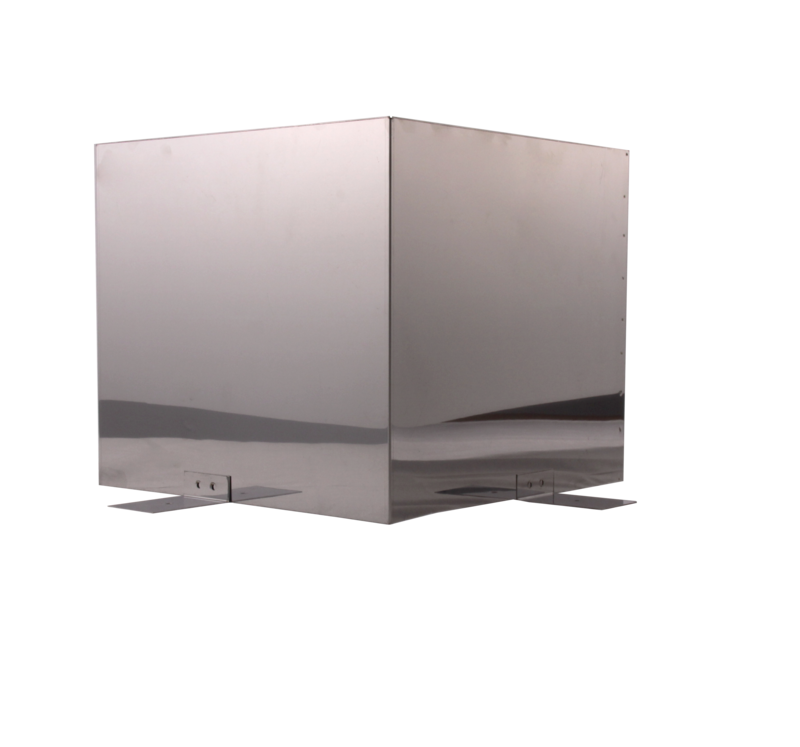 If you plan multistory installation, you must place a Radiation Shield at each floor penetration above that where the Support Box is located. Use a minimum of either 8 penny nails or 1-1/2" wood screws per corner. For the Chimney Section assemble you need to lower the female end of the first Chimney Section in the Support Box and twist it onto the male part. To reinforce the connection, you can use metal screws. 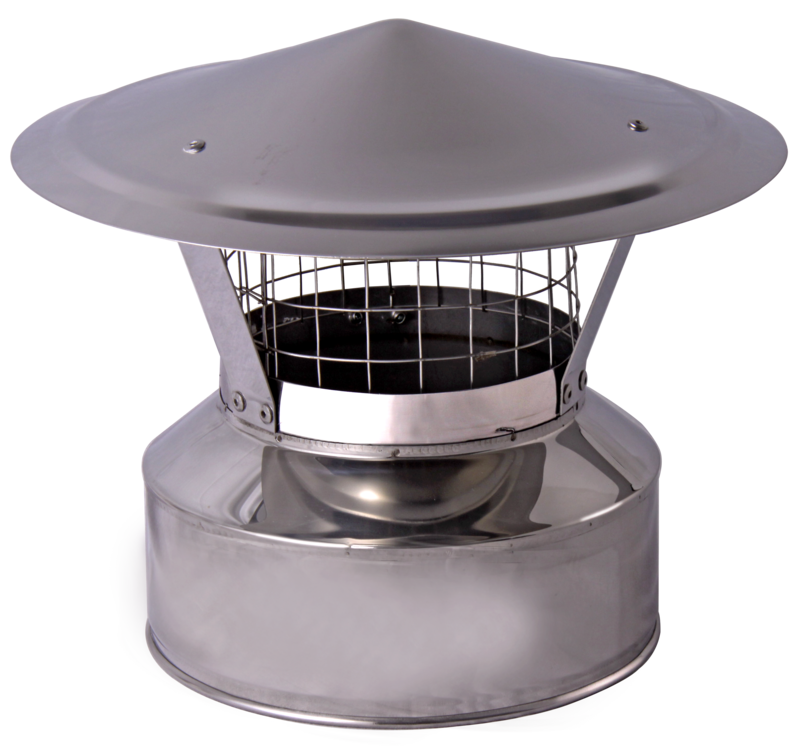 If you need to install the Attic Insulation Shield, place it where the chimney passes into an attic. 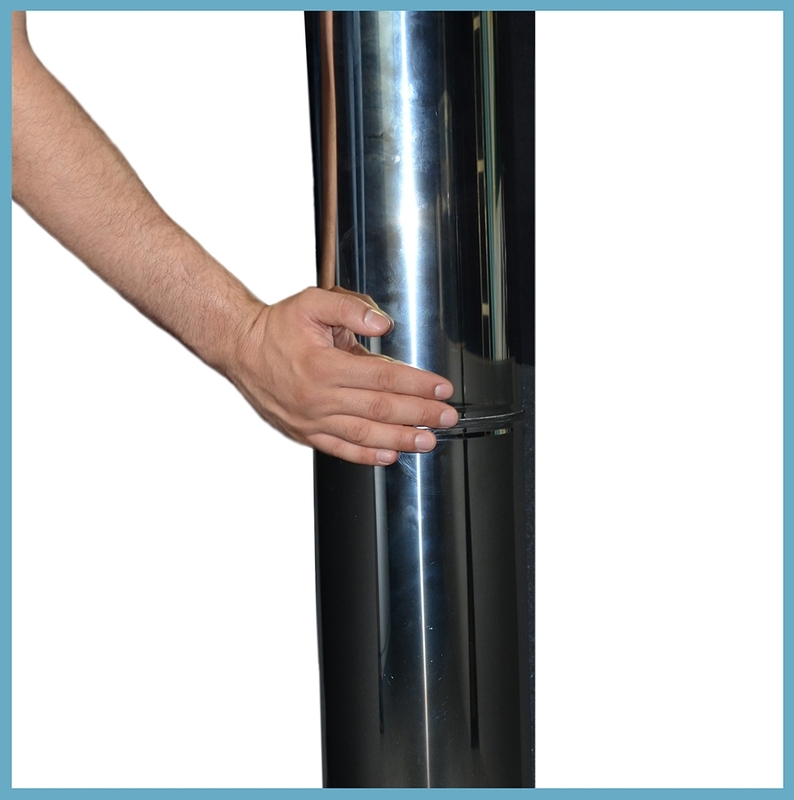 Shield prevent debris and insulation from being too close to the chimney. To place the Roof Flashing, you need to just slip it over the chimney. Remember to choose the product according to your roof slope. Lastly, slip the Storm Collar onto the straight pipe and install the Rain Cap with Spark Arrestor. 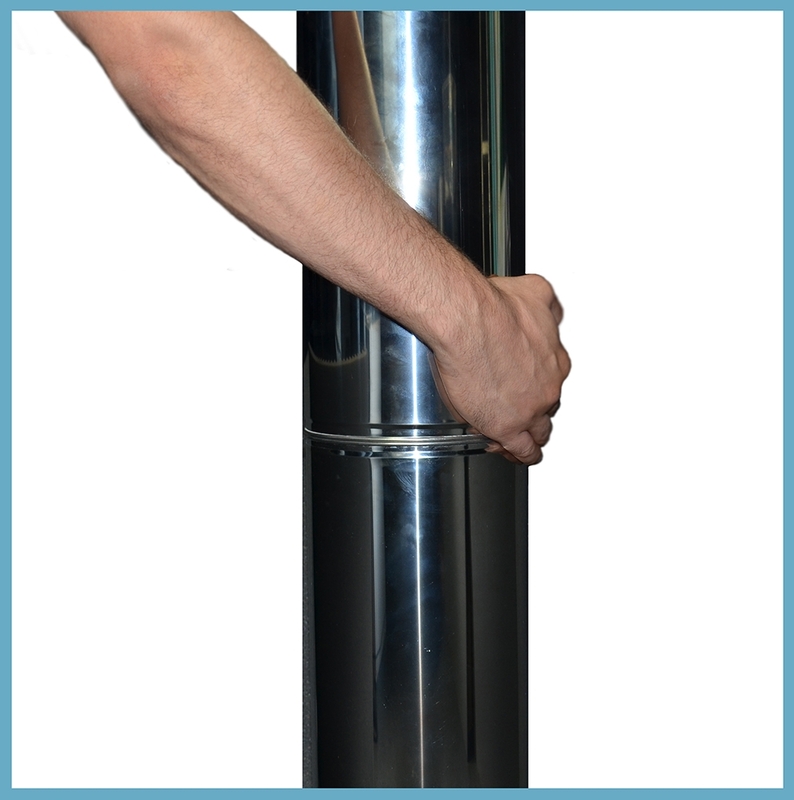 If the chimney extends more than 5 feet above the roof, use a Roof Brace.